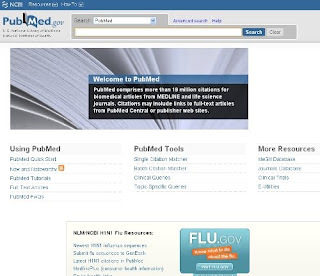 PubMed updated their main page the otherday, which is nice. will search PubMed with the following term "nur77 dundee"
In any case, here is how I used the above URL to fix my Firefox keyword search bookmarks. This might be useful for other sites where right-clicking and creating a keyword bookmark doesn't work, as long as you know the correct search URL for the site in question. the end result will look something like this, if your keyword is set as "pub"
Go to "Organize Bookmarks..." under the Bookmarks menu in Firefox. This opens the bookmark library window. Find your old PubMed search bookmark and delete it. If you don't know where it is, try typing "pubmed" into the search box at the top of the bookmark library window. Create a new bookmark by clicking on the button that looks like a gear and choosing "New Bookmark..."
Click "Add," close the bookmark library window, and you're done. As you correctly noted, you can't just edit the "Location" field of the existing bookmark because of the post_data issue. Cool thanks for the alternative method, this is a bit quicker than messing around with the HTML files..
thank you, using keywords in firefox is definitely timesaving for those of us who have learned to use them.. Following Samantha's method I did not see 'the button that looks like a gear' but used 'New Bookmark...' from the Organize menu.